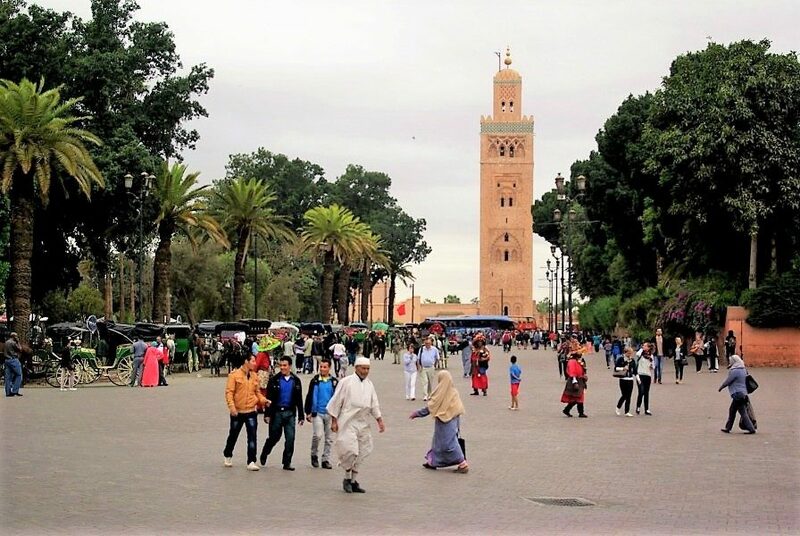 Morocco is red and green, is of color terracotta, is sweet and spicy, hidden and covered, wild and genuine, it is colorful and it smells nice, it is quite and loud, it is barbaric fairytale from One Thousand and One Night – here and now. If we want to see the whole country we have to have at least three weeks time. 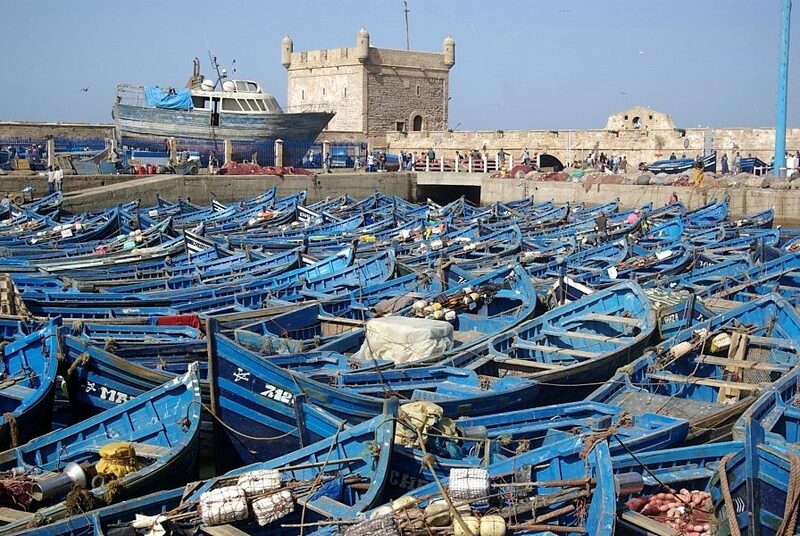 But because most of us have only 10 to 14 days of holiday, it is wise to choose just a part of Morocco. We chose lest touristic South part, where most of natural sights are, in contrary to North where we can be charmed by old Moroccan cities. Well, on South there are old cities as well, but cities on North are better known. Here is our travel itinerary that can help you planning your trip. First day is usually just transfer to destination country. We flew from Bergamo, Italy to Marrakesh, Morocco as those were the cheapest tickets we could get (for round trip we paid 100 eur per person). You should check other near-by airports and check internet regularly to find good offers. You should explore wonderful red city on your first day, its famous Jemma el-Fna Square, get lost in its narrow souk, barter with local traders, explore lots of spices, go to taste excellent tajine or couscous with mint tea on one of numerous rooftops of houses in medina – with a view of happenings on little and bigger squares. Center point is of course Jemma Ef-Fna square with numerous sellers, street acrobats, fortune tellers… and above them Koutoubia mosque. 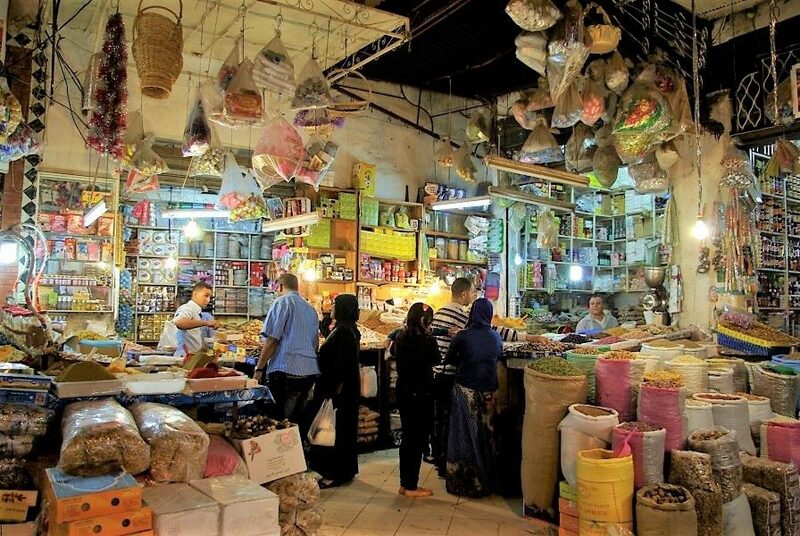 You have to have enough time in Marrakesh medina to get lost and to be found again. You should take time to explore cuisine of Morocco. Their tajine and couscous are phenomenal. You can´t eat that as street food, you have to sit down in a restaurant and indulge. But this also is Morocco´s charm. 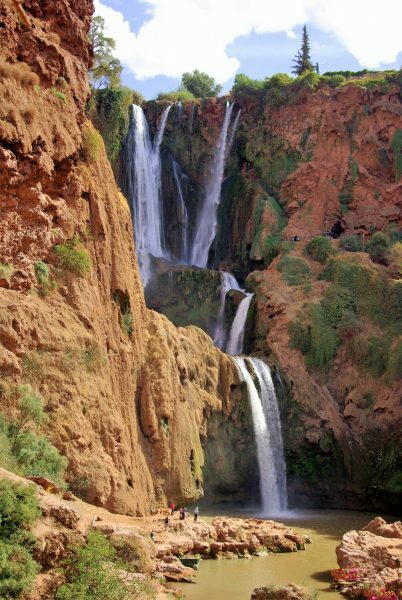 Ouzoud are wonderful waterfalls by red rocks of Morocco and are great for one-day trip from Marrakesh. 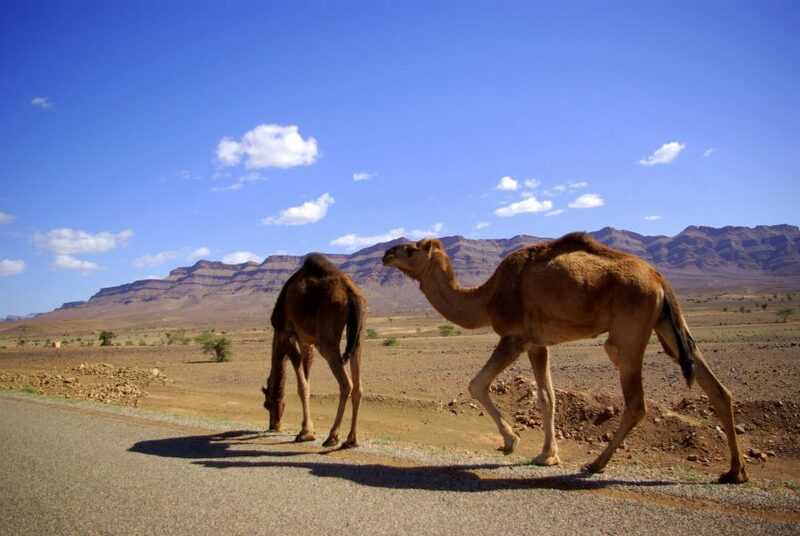 They are 150 km or 2 hours and a half drive from Marrakesh. Landscape on the way there is interesting and even more so small shops by the road, where you can always have some mint tea with locals. When you will come to the parking spot by the waterfalls, there will be local tourist guides. We advise against tourist guide. Circular path by the waterfalls is easy to find, you can´t get lost and it is available to all. 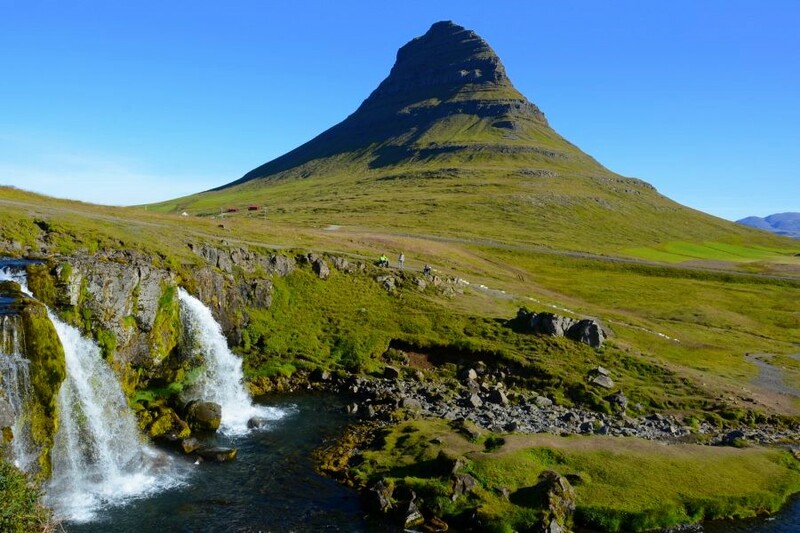 Nevertheless we recommend stopping at one of small restaurant with a view on waterfalls. They offer really good tajne. You can get meat or vegetable tajine, as you like. 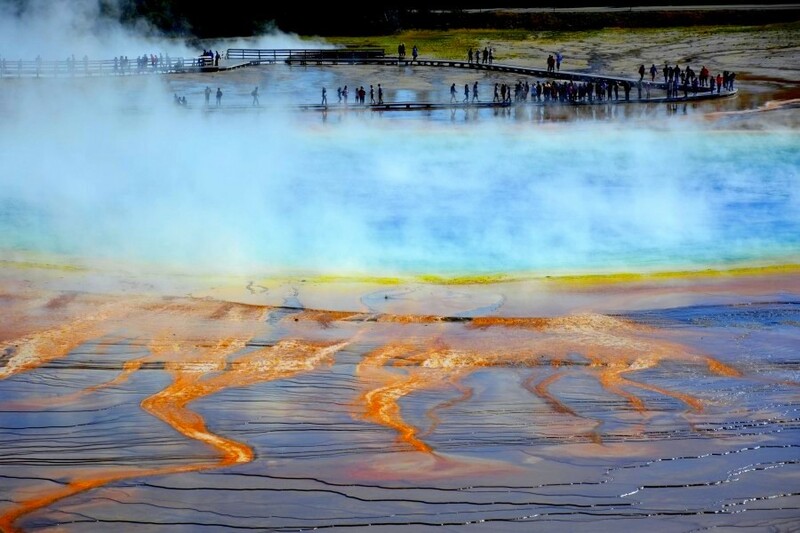 There is almost no chance of having digestive problems because of that as everything is well done and prepared fresh on fire, so it is safe, even for sensitive stomachs. And at the evening explore some more of Marrakesh medina. 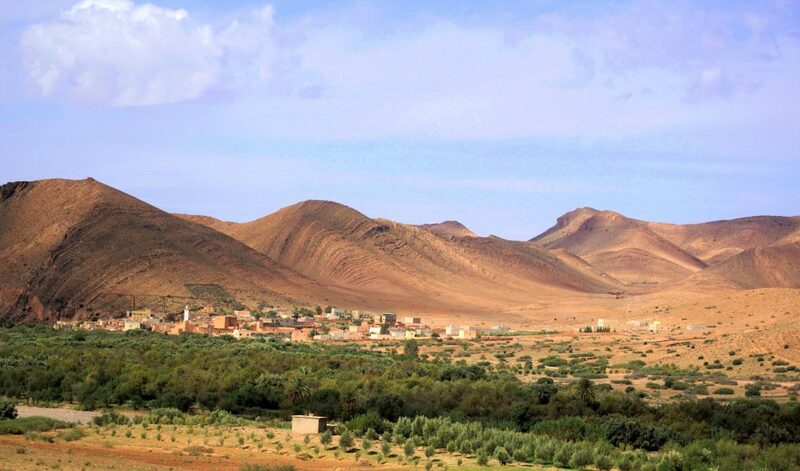 Tizi n´Tichka is mountain pass in High Atlas (2260 m) that links Marrakesh with oasis on south side of Atlas Mountains. The drive over Atlas is slow but wonderful and it attracts lots of tourists – but because of its vastness you don´t see that. 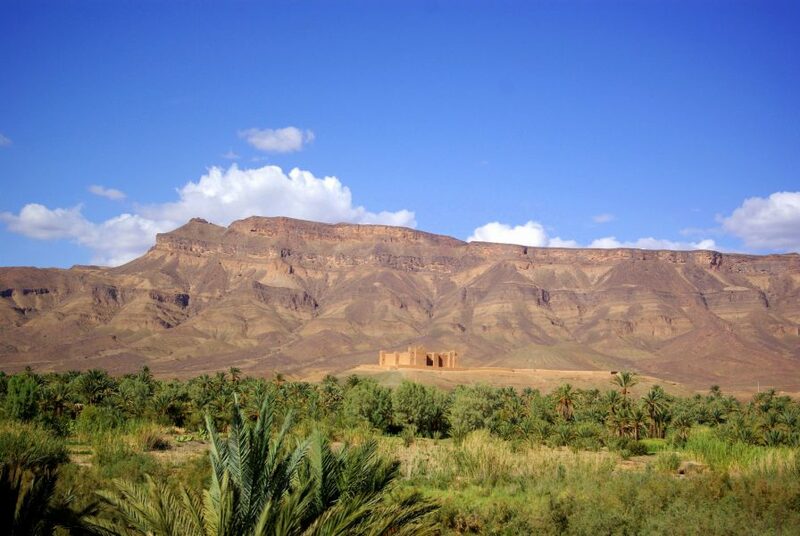 One of the best things in Morocco is to see their Kasbah and ksar of terracotta, in green oasis of mostly rock desert. 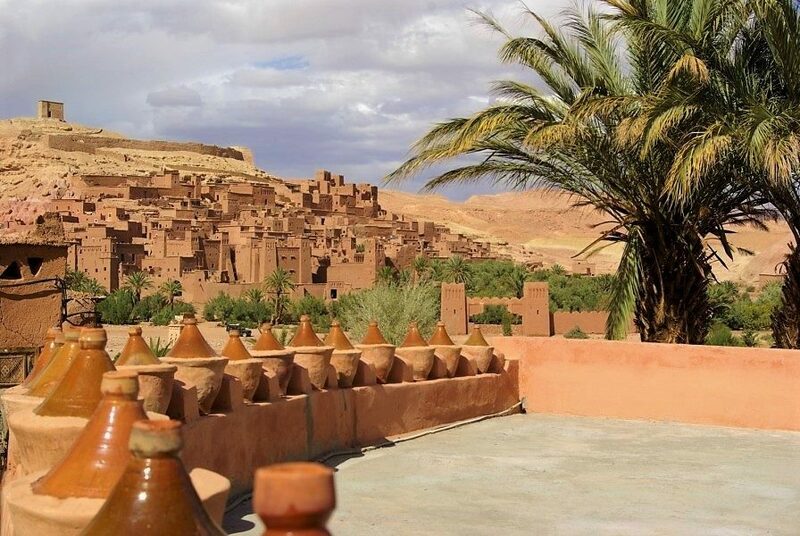 One of well known ksar (castle) is Ait Benhaddou that is certainly worth seeing. Ait Benhaddou is ksar ob the edge of High Atlas near Ouarzazate. 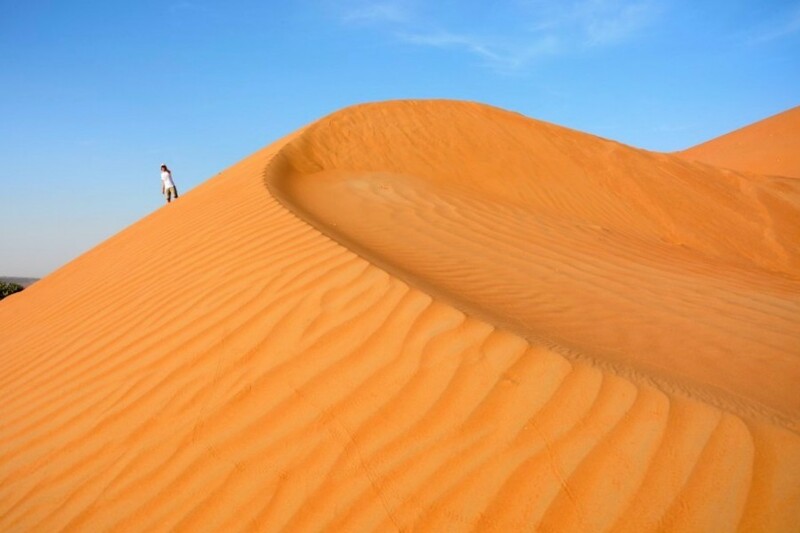 It is under Unesco protection and used many times for scenery of movies as Lawrence of Arabia or The Gladiator. 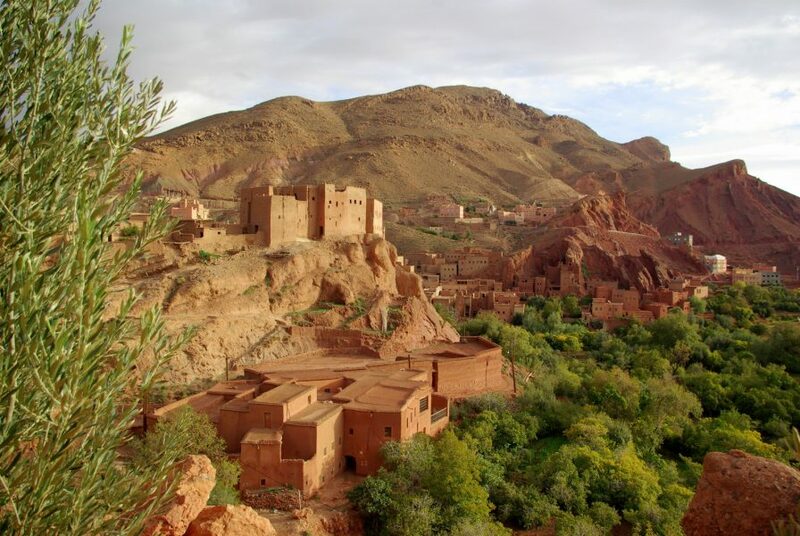 Ait Benhaddou is only 9 km from main road from Marrakesh to Ouarzazate. In you have time go see one of film studios although I admit we were not thrilled. 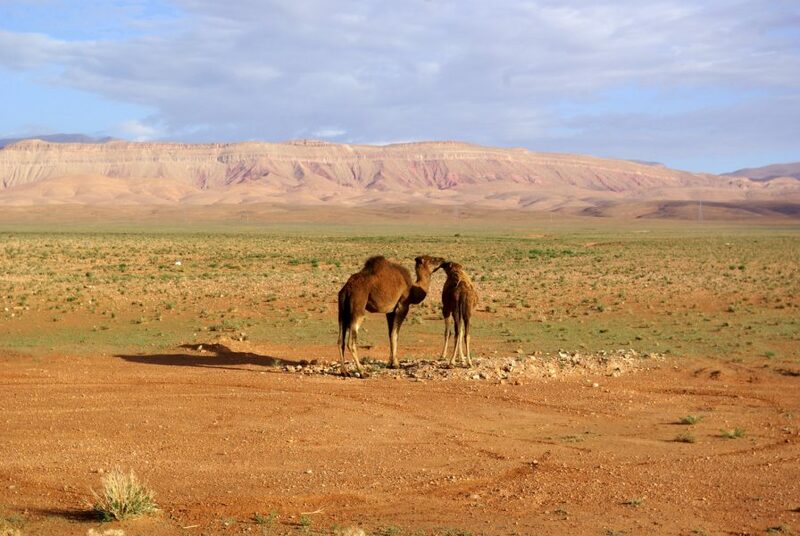 Spend the night in Ouarzazate. This day started the best part of Morocco. 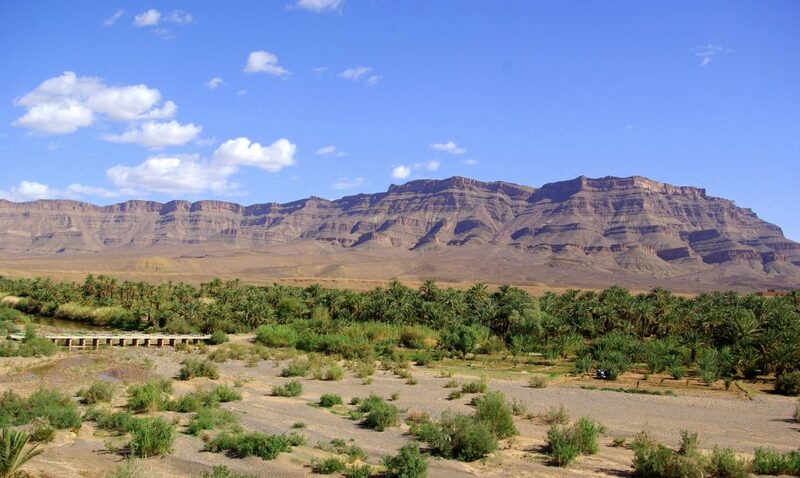 Picturesque gorge Todra and Dadas are part of Atlas mountain range and, with their canyons, steep roads, passes and oasis in between, are paradise for photographers and nature lovers. Dadas valley is also called valley of hundreds Kasbahs, which are terracotta red and in beautiful contrast with green oasis. Many of those Kasbahs were scenery in American movies. 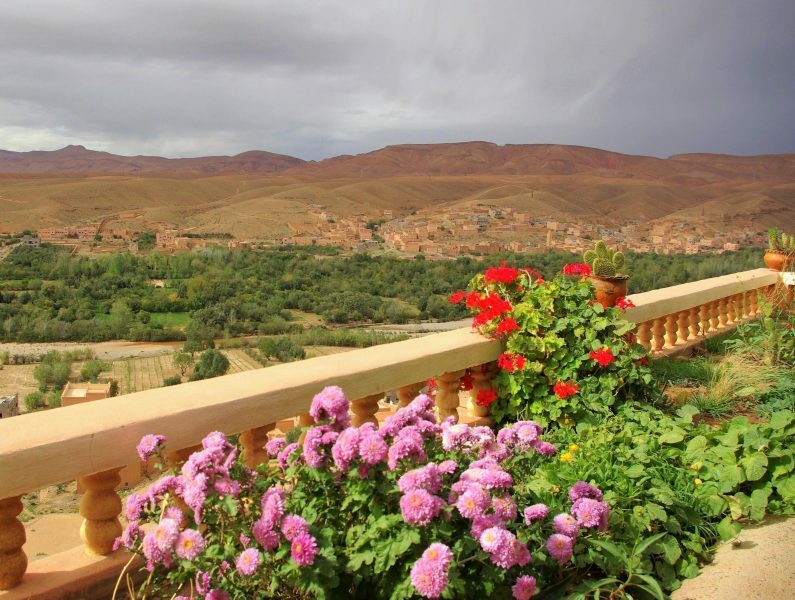 If you intend to go to Morocco in spring, don´t leave out roses in Dadas valley, when thousands of rose bushes (Beauty of Damask) blossom and which are used for oils, perfumes, soaps and other cosmetics. We recommend spending the night somewhere in wonderful Todre gorge. 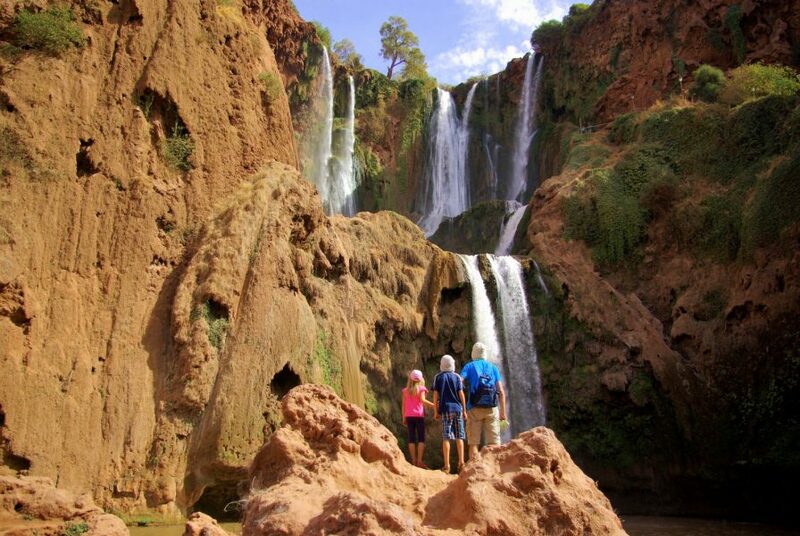 In the morning explore Todra Gorge and then go on a longer trip to Erg Chebbi and Merzouga. 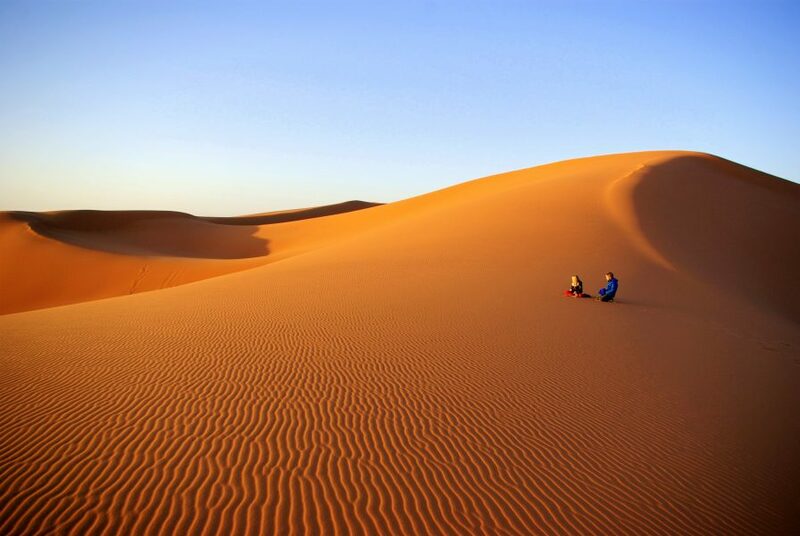 Erg Chebbi dunes are on the edge of south-east Morocco, near Algeria border. 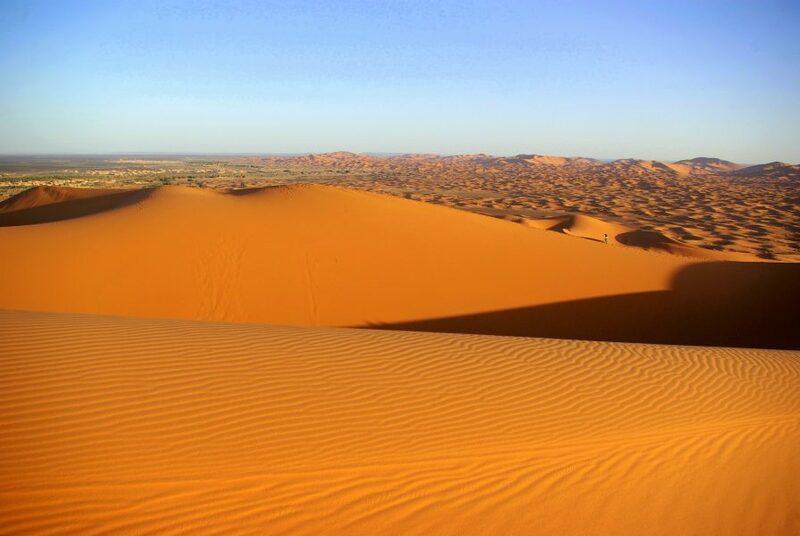 For lodging make a reservation in Merzouga, in one of fairytale-like Kasbah, near red dunes and in the morning go to the dunes to see the sunrise. You can also arrange to sleep in the desert, with Bedouins. Very early in the morning go to a camel ride to the dunes to see the sunrise. You can arrange that a night before in the Kasbah, where you will spend the night. Even though the ride on camels is painful and hard, and climbing on a dune is even harder, is the sunrise really beautiful and worth every effort. Silence and colors of the desert. It is true, that the best things happen outside of comfort zone. After morning adventure with camels and dunes, go on a long ride back to Quarzazate. Take the path on the south side, by the river Draa valley. 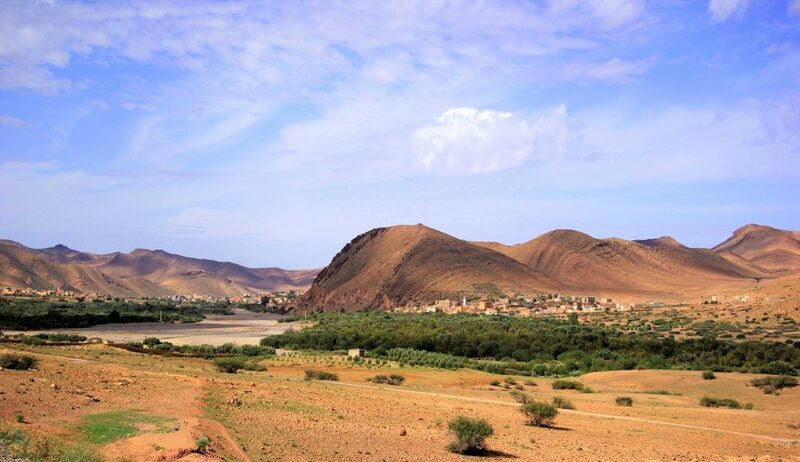 River Draa is the longest river of Morocco and creates wonderful oasis and great contrasts between desert, mountains and green oasis full of palms and plantations. This part of Morocco was the wildest, the most genuine, non-touristic and the most authentic on all our Moroccan travel. If you are interested in paths less traveled and hidden gems of Morocco, then you shouldn´t leave out south part of this colorful country. And if you have a day or two extra, go further to Zagora and peek in river Draa basin and its life. 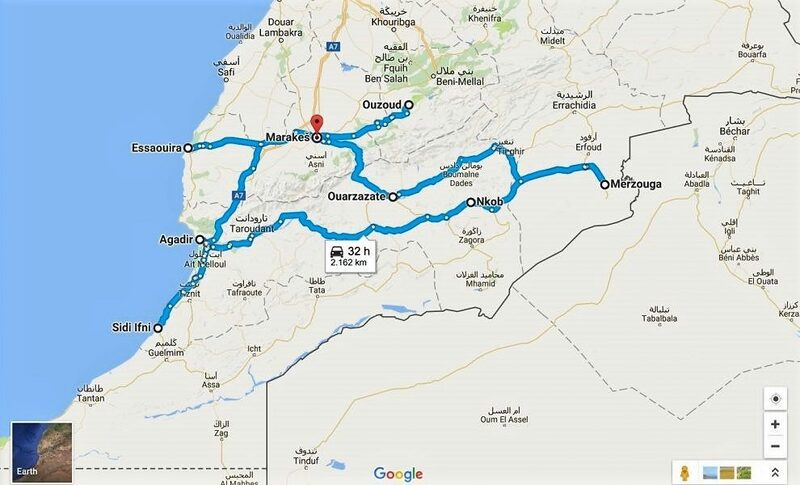 Ride from Ouarzazate to Agadir will take solid 5 hours. If you don´t have enough time, leave this part out and go back to Marrakesh. 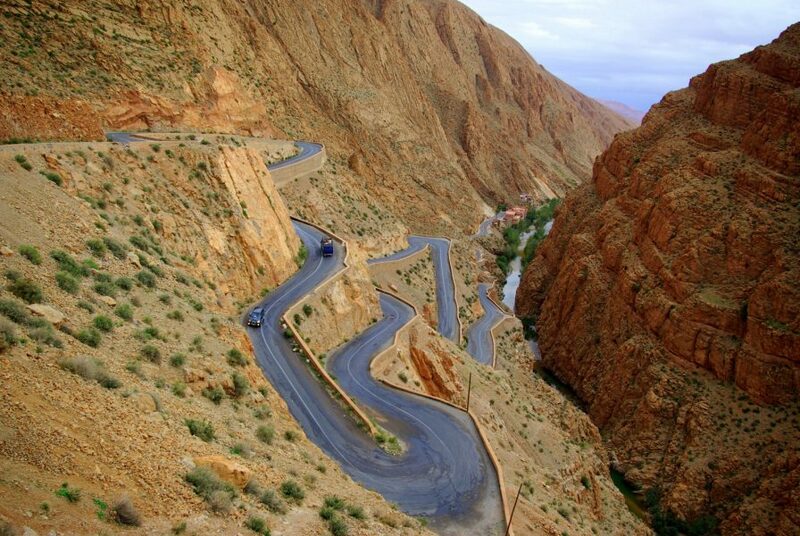 Road to Agadir is wild, special, non-touristic and beautiful. It will take you to back stage of life of Moroccan and to the area where the best (real!) saffron on the world is produced. You can see how women with great respect pick up saffron by hands. Saffron is respected and valued as pure gold, even in small local stores, where you can buy it. Yes, it is expensive as saffron, but it is also real, genuine. 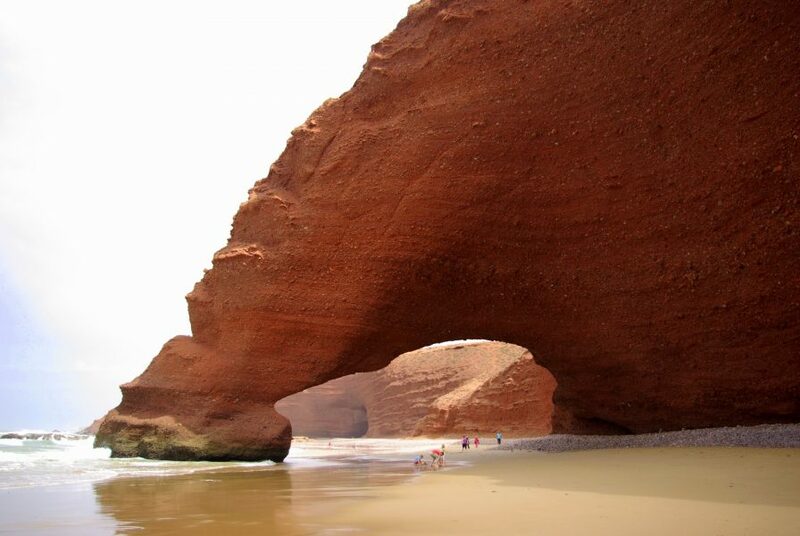 Spend the night in Agadir. 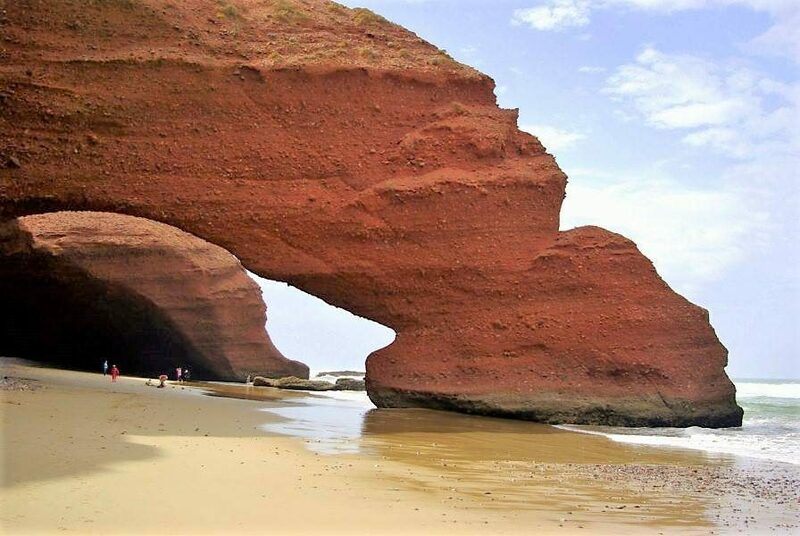 Legzira is wonderful beach near town Sidi Ifni (coordinates of the beach: 29.439156, -10.120444) with natural red rocky arches. Sadly one of the arches demolished in September of 2016. But I believe that other arches and nature around them can also provide great experience. 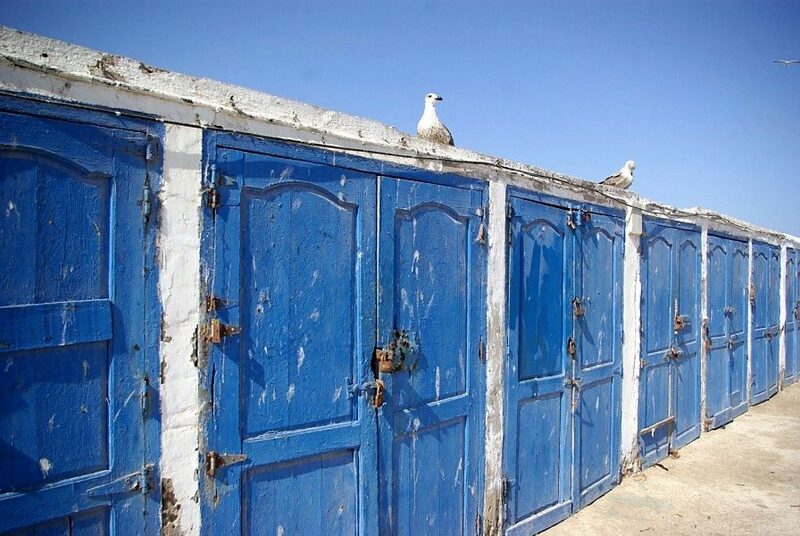 Spend the night in Sidi Ifni or in Agadir. 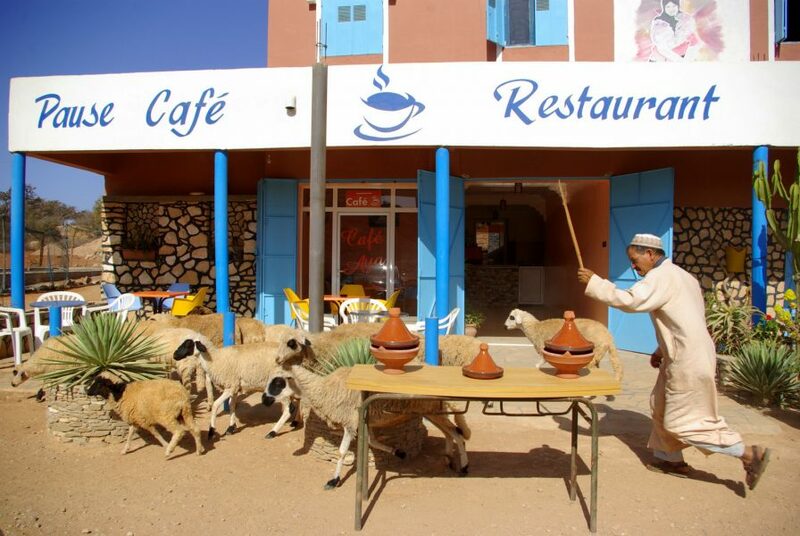 On coastal area around Agadir and all the way to Essaouira you have the opportunity to see famous “argan goats” on even more famous argan trees. 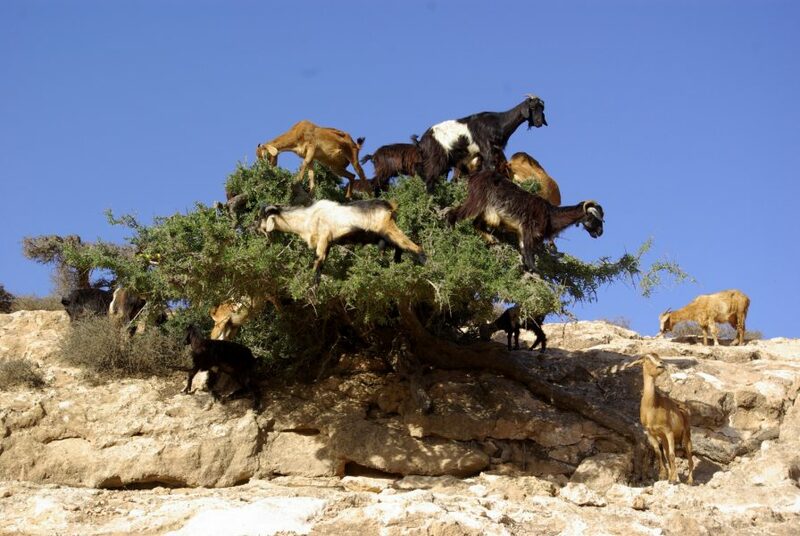 Those goats eat argan nuts, then they poop them and out of them the best argan oil is produced. Yes, that´s how it goes  Don´t forget to stop by the road in local stores and coffee shops to try their local specialties. It is special spread made with argan oil, honey and nuts. It doesn´t look nice, but it is really tasteful. It makes great snack together with mint tea and homemade bread, and great traveling experience. And then Esaouira. 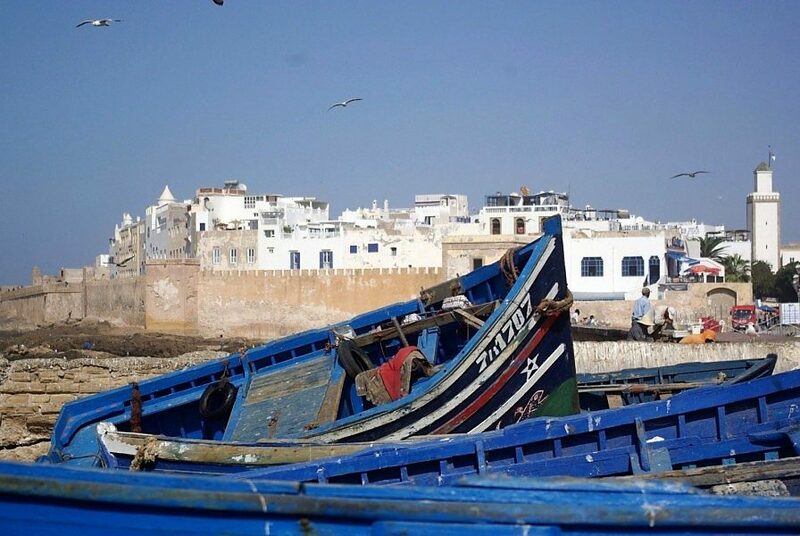 It is photogenic white fisherman town by coast of Atlantic Ocean, where you can eat the best sea food or just explore white streets and coast with blue fisherman boats that only wait to be photographed. Exploring Essaouira and getting lost in Marrakesh medina in the afternoon.